Introducing a reinvinted classic, The MioMosa. 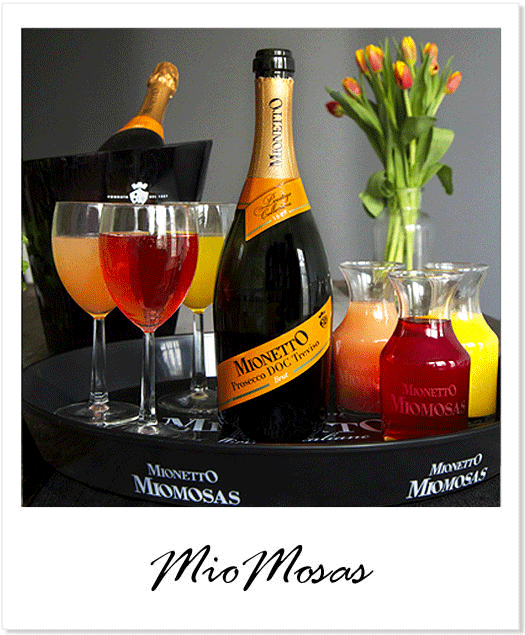 Mimosas made your way! Start with Mionetto Prosecco, add your favorite juice and berries or garnish as you please...your MioMosa prepared your way! Cheers!